Graduation was fun with a houseful of family and beautiful weather. The fish were a big hit, especially with the moms at the senior party! Some have migrated to my office and to other cubbies in the building! Now I need to get my son’s graduation gift quilt finished for the Clearwater Quilters biannual quilt show next weekend. I also need to get my postcards finished up to participate in the ISGB (International Society of Glassbeadmakers) postcard project. I worked on the torch for a couple of hours today testing some new glass – until the oxygen tank ran out. It’s fun to move from one project to the next with no downtime – really it is, I think. 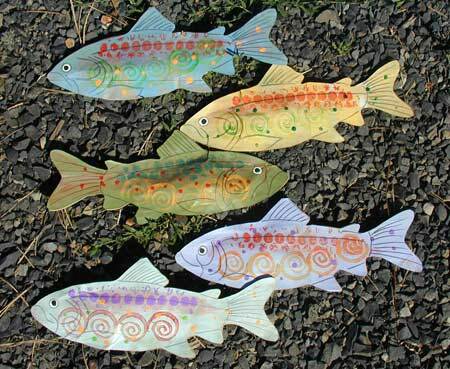 Check out the final fish pictures below. I saved all the pieces – I have a plan to recycle them into ATC cards – later after the postcard and quilt! 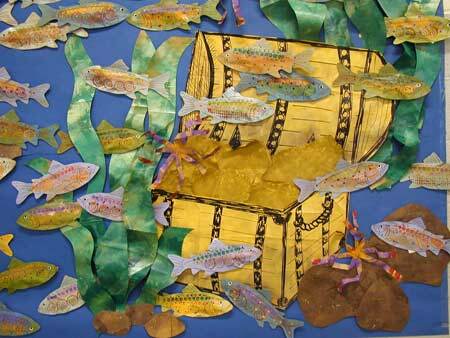 Treasure chest at the bottom of the fish tank! 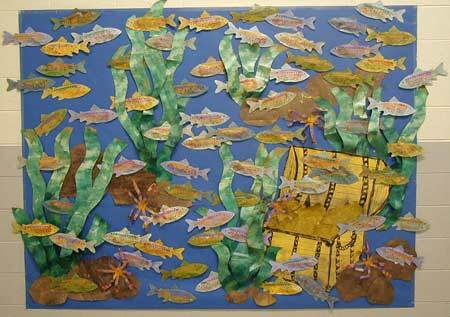 The whole “tank” – rocks, anenomes, seaweed, treasure and fish! 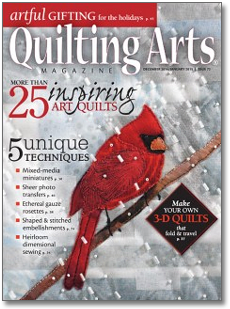 See my article in the Dec/Jan 2014-15 issue of Quilting Arts Magazine!